The products were seized at Dublin Port and were destroyed when it was found that they did not meet the required safety standards. MORE THAN 700 Halloween related products that were deemed unsafe for consumers have been destroyed. The products were seized at Dublin Port and were destroyed when it was found that they did not meet the required safety standards set out in Irish and European legislation. The Competition and Consumer Protection Commission (CCPC) stopped two consignments containing Halloween products following information from Revenue and Customs earlier this month. Our aim is to ensure that goods placed on the Irish market do not pose a safety risk to consumers. These items did not meet required safety standards and so we took the necessary steps to ensure that consumers in Ireland were not put at risk. 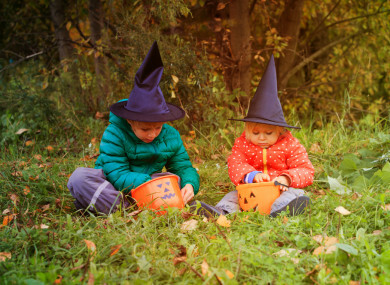 “Particularly at this time of the year when children are dressing up for Halloween, it is important that parents remember to check costumes and toys for a CE mark as these labels show that the manufacturer has complied with national and international standards. Parents should also follow any safety warnings attached to garments such as ‘Warning Keep Away From Fire’. If you see a product that seems unsafe and if it doesn’t have a CE mark don’t buy it. Carroll asked customers who spot products without a CE mark to contact CCPC through its website with the details of product and where you saw it. Email “Over 700 unsafe Halloween products destroyed”. Feedback on “Over 700 unsafe Halloween products destroyed”.